from those of their present-day counterparts. In five detailed case studies Veit Erlmann digs deep to expose the roots of the most important of these performance traditions. He relates the early history of isicathamiya, the a cappella vocal style made famous by Ladysmith Black Mambazo. South Africa’s first black ragtime composer. And Erlmann’s reconstruction of the 1890s concert tours of an Afro-American vocal group, Orpheus M. McAdoo and the Virginia Jubilee Singers, documents the earliest link between the African and American performance traditions. society. Early ragtime, ingoma, and isicathamiya enabled the black urban population to comment on their precarious social position and to symbolically construct a secure space within a rapidly changing political world. Today, South African workers, artists, and youth continue to build upon this performance tradition in their struggle for freedom and democracy. 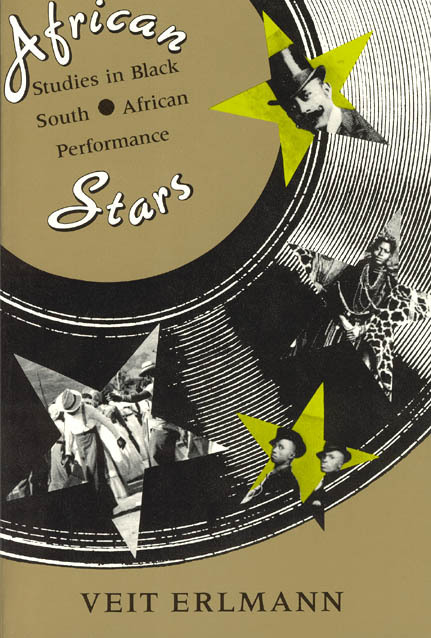 The early performers portrayed by Erlmann were guiding lights—African stars—by which the present and future course of South Africa is being determined.